Gyugyuya was a visit I made with my date one Friday evening. 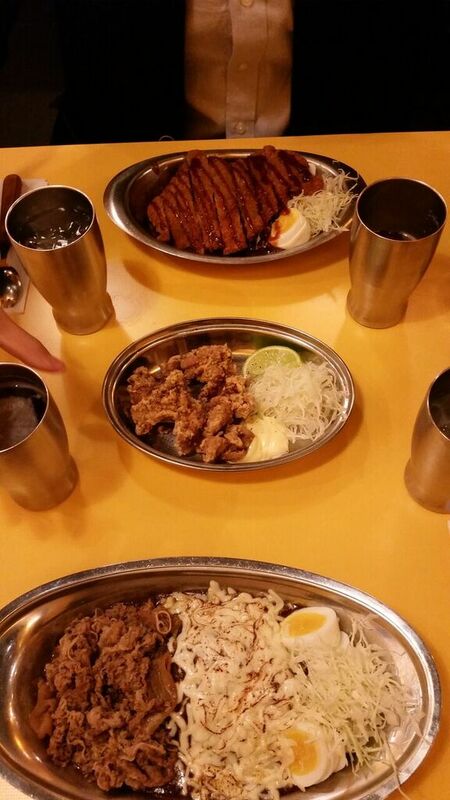 This was also my first visit to a restaurant of this kind, and my first time having Japanese styled curry! Gyugyuya provided easy going ambiance and is known for their meats, seafood and custom toppings. Above is a couple of the selections we made that night. 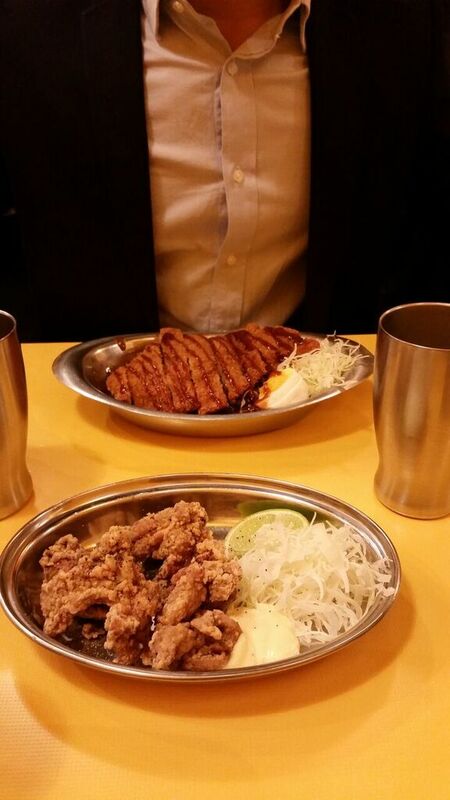 My date ended up getting himself some Tonkatsu Curry which was deep fried pork, curry and rice. Together we shared a side order of Chicken Karage, and I ordered this knowing that it’s a very popular side dish in Japanese restaurants, and also recalled the Chicken Karage I had with my friend at Sansotei Ramen (see my other post about that on my blog!). Both seemed to be great dishes and they served us quite quickly. 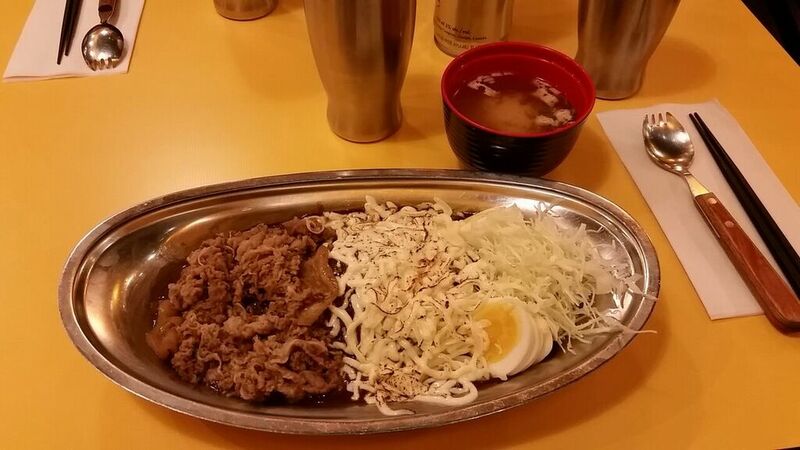 On the recommendation of my company Friday night, I ended up ordering the Gyu Cheese Curry, which had egg, beef, cheese and of course, curry on top of rice. As well, I ordered an addition side of Miso Soup to wash it all down.This curry was something completely new for me; in fact I personally never craved dishes of the curry variety. However, I can say without a doubt this is the type of curry that I actually enjoyed! It was not a spicy dish, and the tastes of the beef mixed with the cheese actually made a splendid combination. The portions were personally large for me, I didn’t end up finishing my dish completely. However that may have been due to being too engaged in conversation with my company for the evening. In addition to our food, we also had Sapporo Beer, which was our drink for the night. Overall, Gyugyuya was a new experience for myself, and I would say it was a successful place to try out! The restaurant’s ambiance was vibrant, bright (yes, you can see the environment is extremely yellow!) and great for socializing! Previous Post Hong Far (H.K) Cafe Inc.